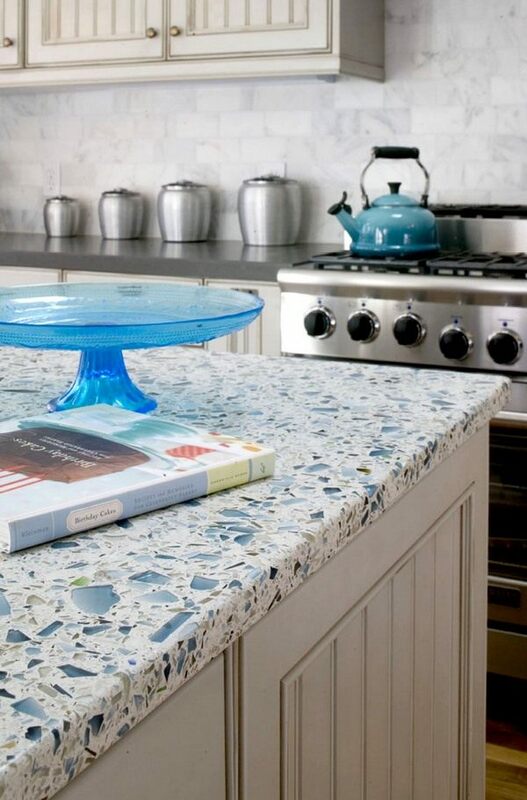 Recycled glass countertops are enjoying a great popularity not only because they are stunningly beautiful, but because they are environmentally friendly too. When you see them for the first time it is inevitable that you ask – how did they do that? 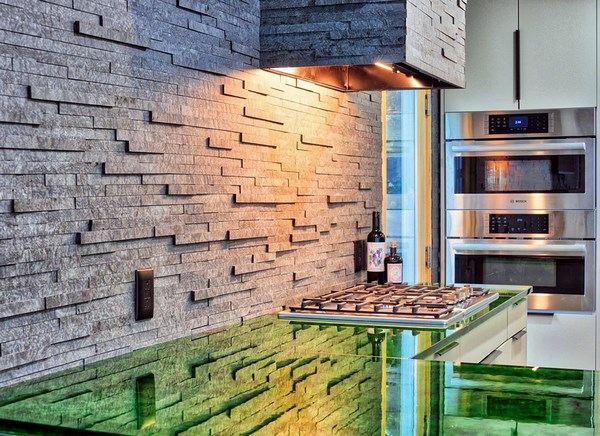 The glass pieces incorporated in a monolith surface, gleaming under the light, look like magic! 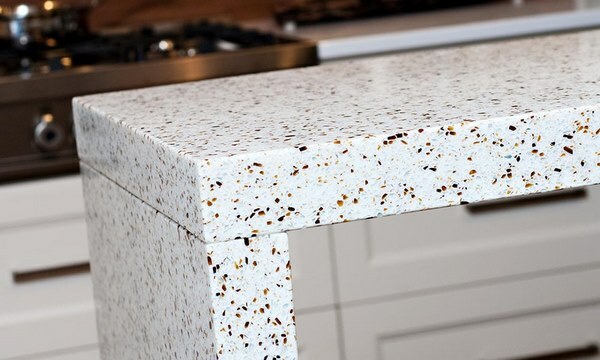 Nowadays many people prefer to use environmentally friendly materials and it is not a surprise that products like recycled countertops have found their place in many modern kitchens. 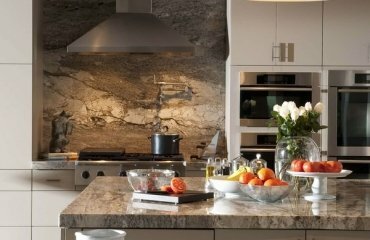 They have the chic and original appearance, the strength and durability of granite but a lower price tag and are an excellent, budget friendly alternative for all homeowners who cannot afford a countertop made of natural stone. 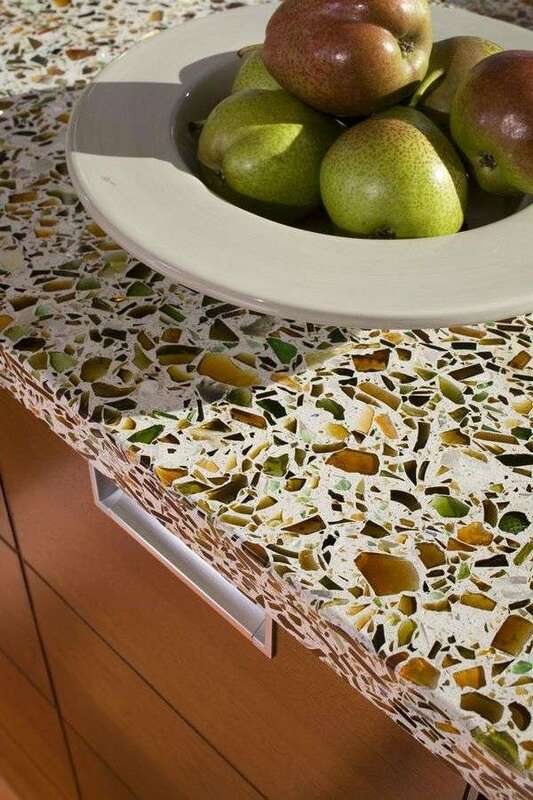 How recycled glass countertops are made? The idea to produce materials from recycled wastes is not new and many manufacturers have embraced the idea of recycling. 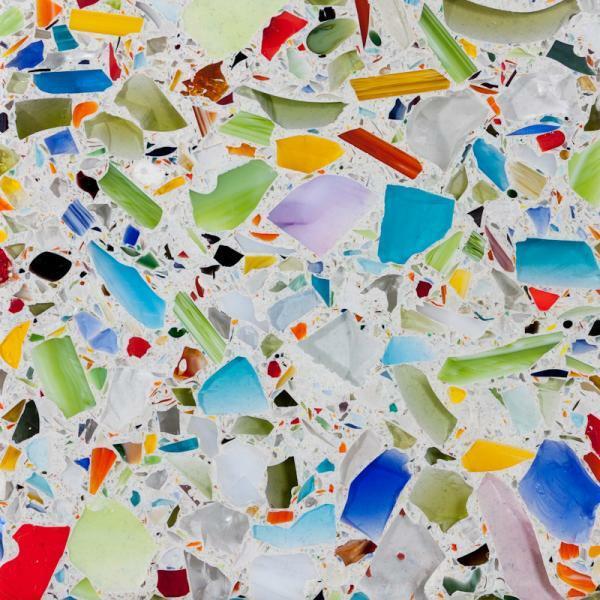 Back in 1996, a young scientist from Berkeley, California – Don McPherson – added broken glass to cement and produced the first prototype of recycled glass countertops and one of the largest manufacturers of countertops from recycled glass in the US – Vetrazzo – patented the process. 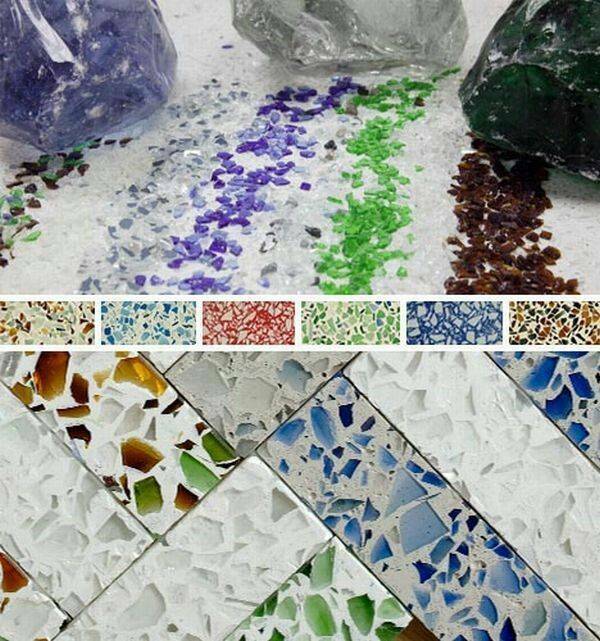 Later on other manufacturers like IceStone appeared on the market and besides the giant companies there are also many small companies that produce finished products from locally collected waste. 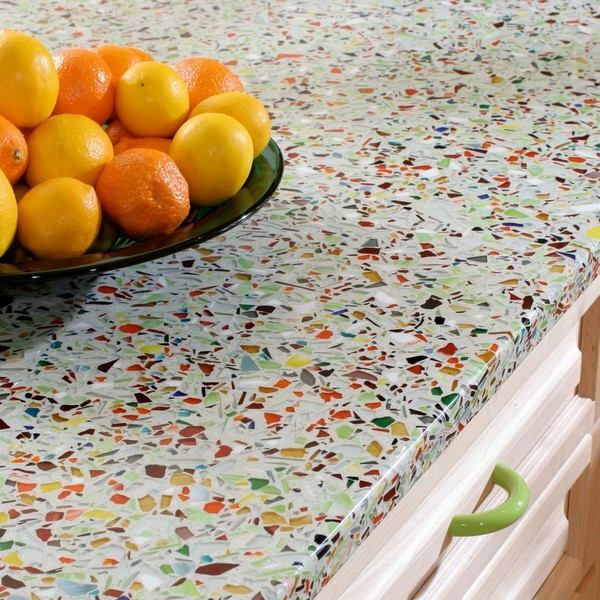 There are two main types of countertops from recycled glass – one of them is based on cement and the other one is based on epoxy resin. 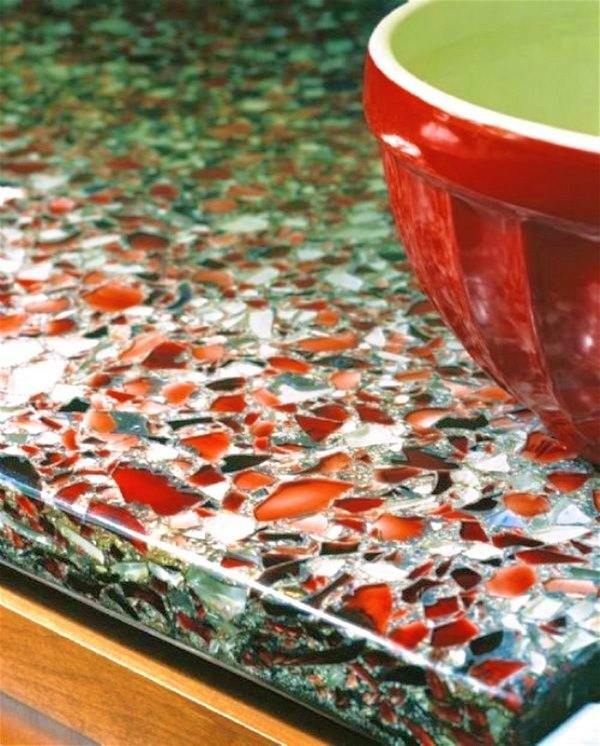 Recycled glass is the common element in both production methods and the most important difference is the porosity of the material. Cement is cheap, easy to handle, widely available, but porous material. This means that without regular impregnation with special sealants, just like granite or marble, your table top will be covered with stains, it can absorb unpleasant odors and even contain bacteria. 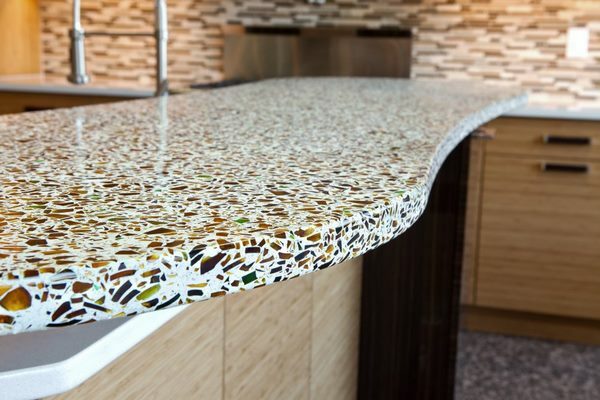 Recycled glass countertops, based on resin have a higher price tag, but due to the fact that epoxy resin is not a porous material, the counters will not absorb odors and are resistant to stains and bacteria growth. 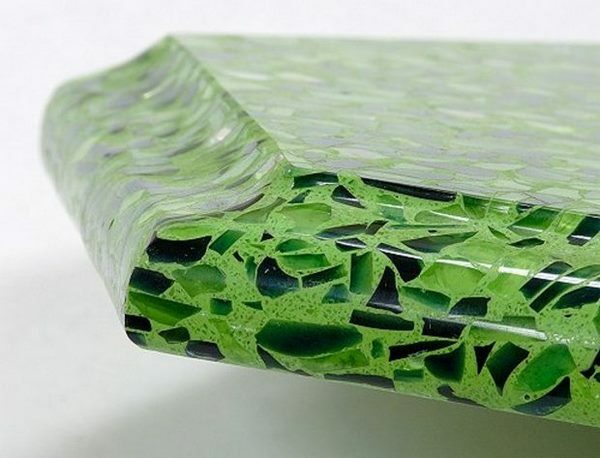 There is a third version of these countertops based on glass only production process which uses recycled glass alone to form new solid counters with a homogenous look. The percentage of chips varies for each product, but generally, the glass content is about 75% or more. 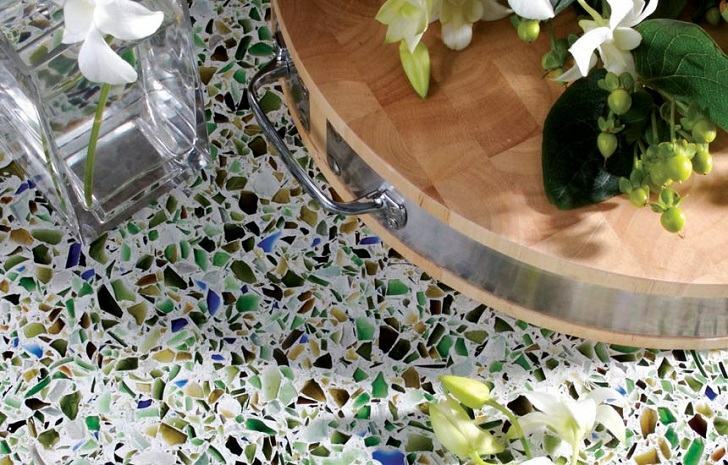 Some manufacturers use 100% recycled glass, which is sourced from post-consumer and pre-consumer waste streams. Some products contain a very small percentage of other materials like porcelain chips or seashells. 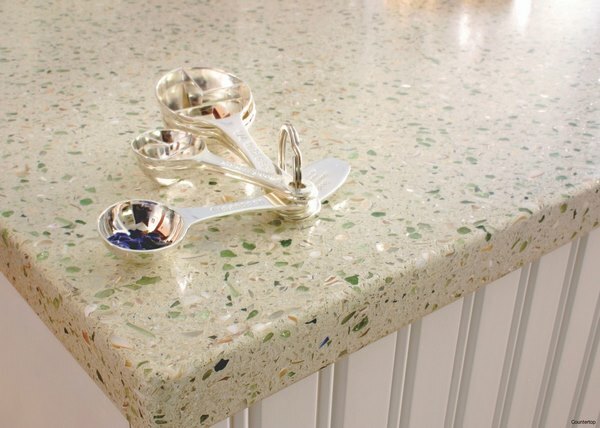 Despite the differences in production method, recycled glass countertops have a number of common advantages. 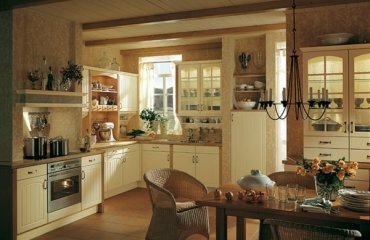 Strength and durability – cement (resins) and glass are really strong components and the countertops are solid, strong and durable with a life expectancy of more than 50 years. 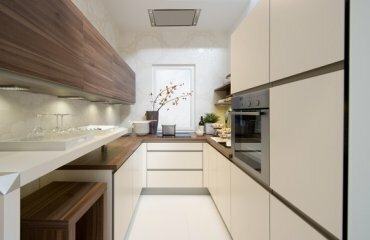 Resistance – as mentioned above, the countertops have a very high resistance to temperature changes, they do not melt or burn. In addition, they are resistant to scratching and chipping and do not get stained. 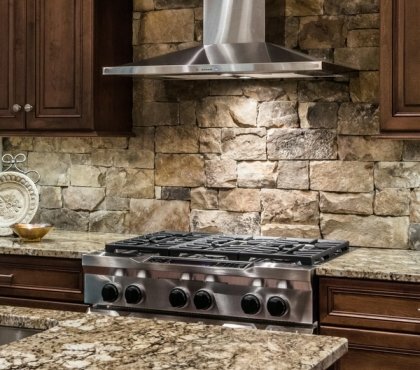 Maintenance and cleaning – While epoxy based countertops do not require sealing, cement-based ones need to be sealed and then re-sealed on a regular basis like granite or natural stone countertops. 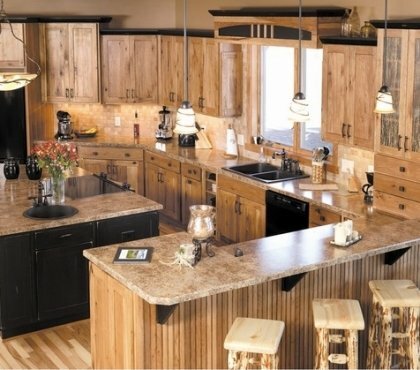 If you opt for an epoxy-based countertop, you can use any domestic cleaning product. 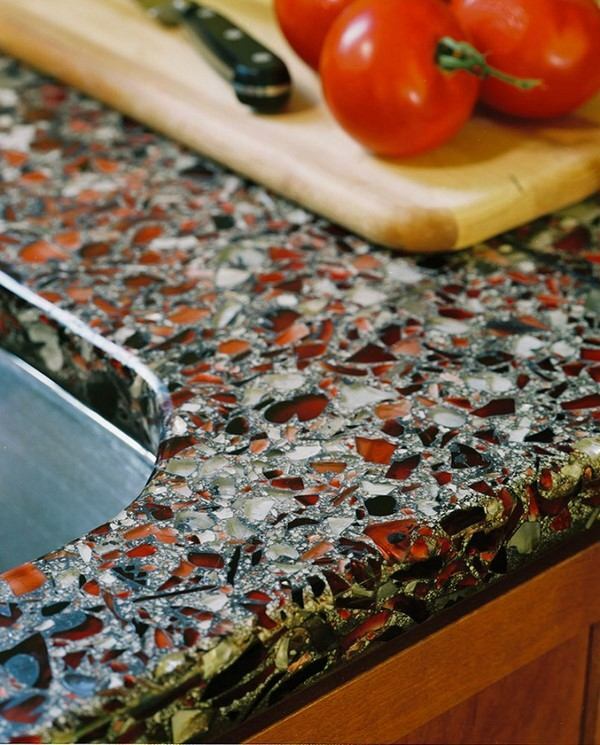 Cement-based products are easily cleaned with soap and water just like granite. 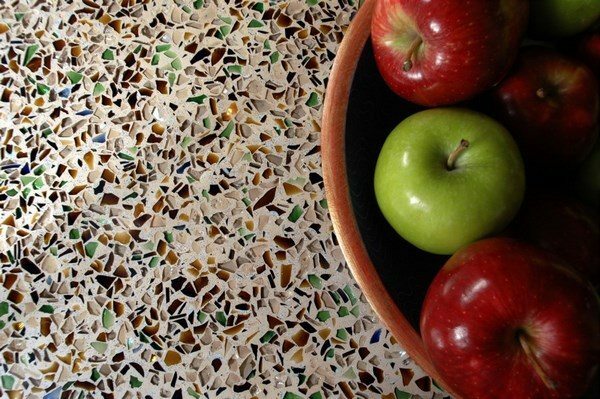 Environmental friendliness and sustainability – the combination of concrete and recycled glass is one of the most environmentally friendly options as it basically contains waste materials and tons of waste are being re-used. 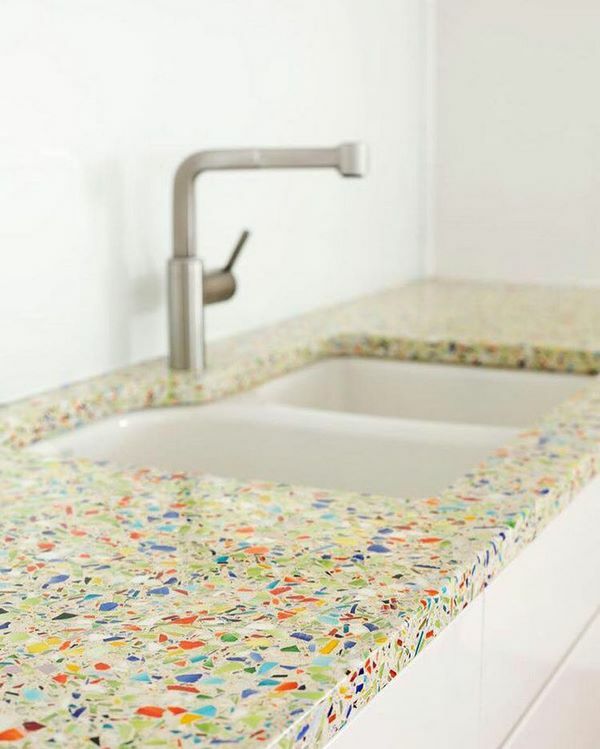 In addition, the fact that the worktops are not made of non-renewable resources makes them truly sustainable. 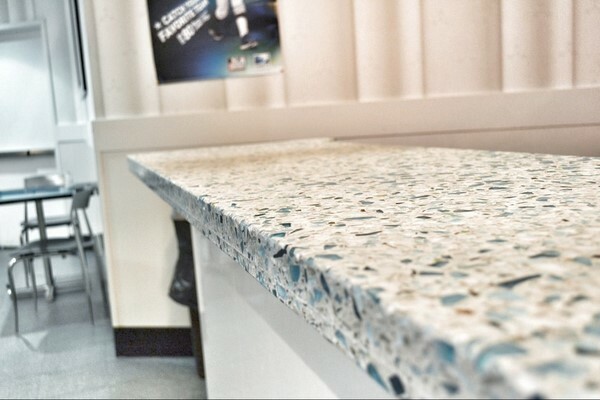 Visual aesthetics – this is one of the most impressive advantages of recycled glass counters. Their visual interest is hard to surpass. 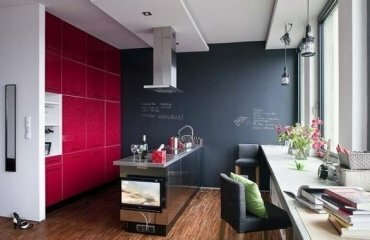 Resin-based countertops can be manufactured in almost any color and you can choose or have a custom-made countertop which will work with the overall design concept of your kitchen. 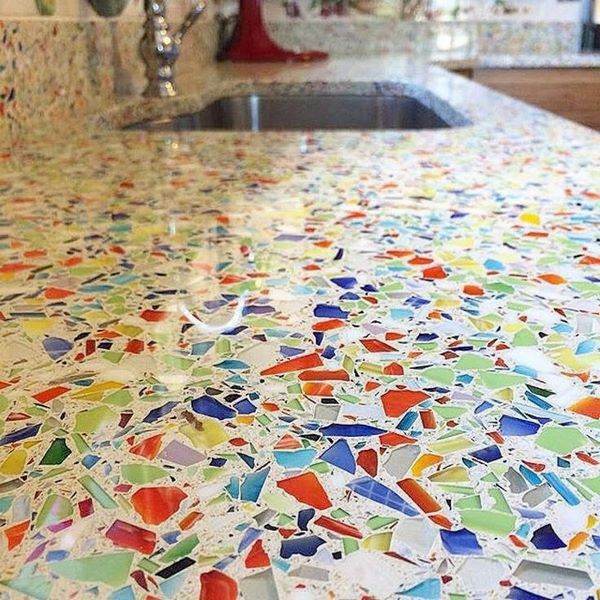 Those who are not attracted to multiple colored glass chips can take advantage of the customization options which almost any manufacturer offers – the customer can choose pigments and glass elements for the countertop and have an individual and unique work of art as a centerpiece in the kitchen design. 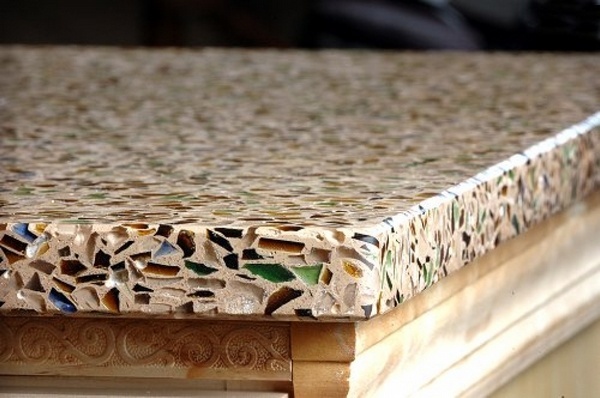 On the downside of recycled glass countertops we need to point out a few considerations that you need to keep in mind. On the first place, you need to remember that cement-based products are porous and can absorb stains, therefore they require sealing and it is necessary to follow the manufacturer’s recommendations for maintenance. Bad maintenance leads to a potential hazard of color change and appearance of patina. Another consideration which is worth mentioning is that despite the hard surface, this material is not friendly to knives, so the cutting boards should always be at hand. 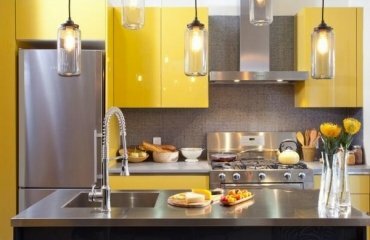 Installation – DIY project lovers will be disappointed as the installation must be installed by a professional and authorized fabricator. 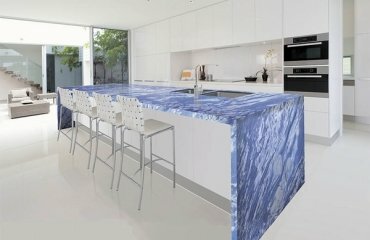 Yes you could purchase a slab and install it by yourself, but you risk losing the warranty. 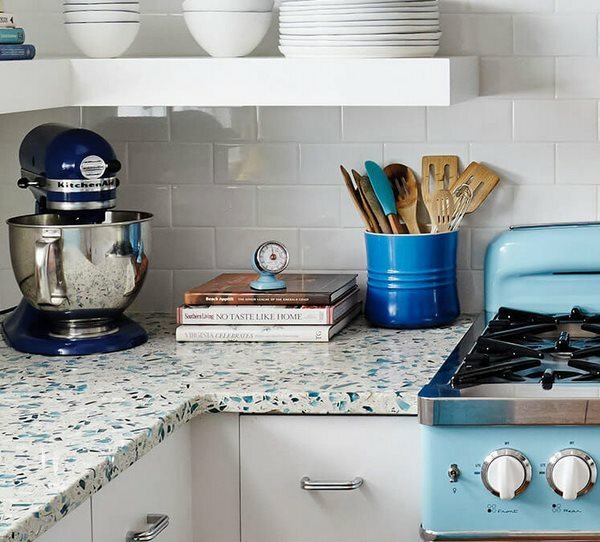 Price – last but not least – this is, probably, the major consideration since recycled glass countertops have a high price tag and can cost more than some stone countertops. However, it is a personal decision and we all know that high quality comes with a high price.